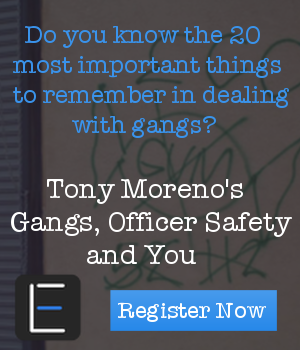 This book focuses on the challenges and obstacles encountered when dealing with the gang issue. It discusses key subjects and principles that are not covered in other books or training sessions. It has been very well received by those affected by the gang problem both in and out of law enforcement. This book discusses issues that are crucial to all of us and does it from the standpoint of a 32-year veteran cop who is also a parent, coach, trainer, grandparent and member of the community. It is a motivational book that will have you analyzing and re-evaluating your own feelings and attitudes. “Cops in America” is a book that examines and challenges all sides of the police/community relations controversy. 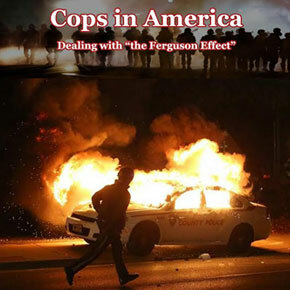 It is a straightforward book that looks at many of the perceptions, misconceptions and distortions fueling the “police versus the people” rivalry and has created what is known as “The Ferguson Effect”. The book identifies some of the underlying factors that exist yet are very seldom acknowledged. Thank you for taking the time to visit my website, Gangcop.com. I was born and raised in Los Angeles and have lived my entire life in the Southern California area. During that time, I have been exposed to the gang problem both as a law enforcement officer and as a parent and member of the community. I am thankful for all of the great people and dedicated professionals I have met along the way. I am especially grateful to those of you who have taken the time to educate, share and mentor me along the way. Now that I am retired from my career in law enforcement, I have devoted more time to sharing my knowledge, experience and insight both in training and public speaking and in the written word. I guess I really wasn’t ready to retire and slow down. Because of that, I transformed my energy into continuing my mission of trying to make our neighborhoods safer by educating others, both within the law enforcement community and throughout the rest of society. In the “About Me” section, I share my background and experience and basically tell you who I am and what I’m all about. In the “Training” section, I tell you what kind of training and lectures I provide. In this section, I also name some of the various agencies, groups and organizations I have had the pleasure of serving over the years. Naturally, I can provide professional references to attest to my work quality if needed. 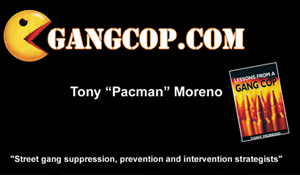 In the “Lessons” section, I give some background information on my first book, “Lessons From A Gang Cop”, which was released in 2005. 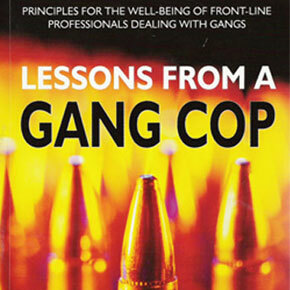 The book was my attempt to provide insight on the various challenges and obstacles found when dealing with the gang problem, both on a professional and personal level. The book was originally written for law enforcement officers but has been very well received in by those outside law enforcement circles as well. 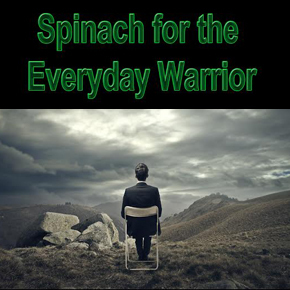 The “Spinach” section provides background information on my second book, “Spinach For The Everyday Warrior”, released in 2011. As an extension of my first book, it focuses on some of life’s challenges and obstacles and goes far beyond the world of gangs. It is a motivational piece written for anyone and everyone, but written through the eyes of a cop, coach, parent and grandparent. My hope is that it will be a very personal book for those of you who read it. The “Buy Now” section of this site enables you to order either of my books online and has directions if you prefer to send in a check for payment. The “Contact” section enables you to send me a personal message or contact me by email. You can also sign-in on the guestbook. Thank you for your time and support and I hope your journey through life is filled with adventure and meaning.